Training with food is a better way to train dogs. 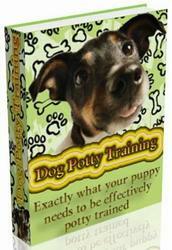 It is easier, more effective, and certainly a lot more fun for you and your dog. 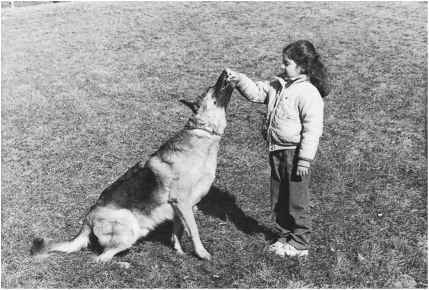 Since I trained dogs for many years without using food, I have a good basis for comparison. 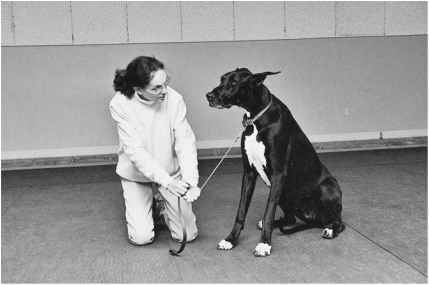 Training consists of two parts: communicating to your dog what you want, and motivating your dog to do it. Food can help with both. But before you can start, you need to get his attention. Without it, training is impossible. Using food gives you an easy way to get your dog's attention. You have something he wants, so he will be anxious to learn how to get it. Teaching a dog to lie down is a good example of how food works well for communicating what you want. Let's say you want to train your full-grown Great Dane, Lyndy, to lie down. You could try to pull her down with the leash. If she decides to resist, and she probably will since it is instinctive for a dog to brace against the force of something pulling on her, you're in for quite a battle. Alternatively, you could lift her front legs when she is sitting and gradually ease her down. Unfortunately, the only thing Lyndy may learn from this is to allow herself to be lifted down, while you get a sore back. 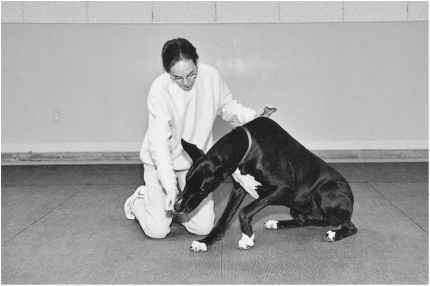 Dogs often do not understand that you want them to make a motion on their own, even after you have helped them do that motion many times. An easier way would be to use food. Attach it to your dog's nose like a magnet, and slowly draw her down to the floor. Voilà! Easy, huh? And the motion you make with your hand becomes a hand signal when you no longer need the food in your hand. The second part of training—motivating your dog to do what you want—involves making a choice. 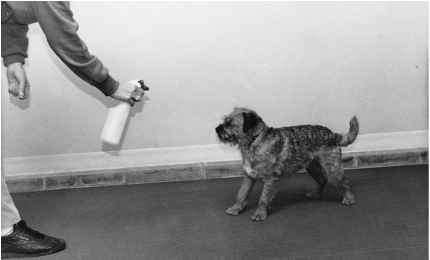 You can make your dog do what you want out of fear of punishment, or you can make your dog work to earn a reward. The use of food to motivate your dog utilizes the psychological principle of positive reinforcement. Positive reinforcement is part of a larger theory of learning known as behavior modification. Basically, the principle of positive reinforcement says that positive reinforcement increases the probability that the behavior preceding it will occur again. For example, if you call your dog and he gets a treat when he comes, he is more likely to come the next time you call. In less fancy terminology, a positive reinforcement is a reward. While there are many types of rewards for dogs, food is convenient and easy to use, can be given in small amounts, can function as a magnet to draw a dog into a desired position, and is appealing to a wide variety of dogs. It is good for dogs of all ages, from bouncy seven-week-old puppies, to unruly adolescents, to set-in-their-ways adult dogs, to fragile old dogs. Food works well for all breeds, from the eager-to-please Golden Retriever to the difficult-to-persuade Chow Chow. It also works for mixed breeds, and for dogs of all personalities. Food is a good tool to build the confidence of shy dogs and to work with aggressive dogs. Trying to force Lyndy down. Using food as a training tool does not require athletic strength or coordination. Because of this it is an ideal method for children, older people, or someone who has physical limitations. And while timing is important in the successful use of food, bad timing of food delivery is not going to cause the problems that bad timing of force causes.